I can still remember the moment when it happened. It was on April 7, Friday. Of all places, we were all in New York City. Ethan and I were on our way back to the Park Hyatt Paris New York. We just left the Music Box Theatre after watching Dear Evan Hansen. We were on such a high after watching this amazing Broadway musical. Nancy and the kids were in the room, relaxing after a long day of travel and exploring parts of Manhattan. Ethan and I picked up food from The Halal Guys and we brought our favorite street food to this super posh hotel. We didn’t care. We were starved…and hey, it’s The Halal Guys! I picked up my MacBook Air and jumped in the very comfortable bed. I scrolled through my Facebook news feed and noticed this article on Facebook from The Points Guys…Amazing Deal Alert: Many US Cities to Singapore From $325 Round-Trip. It was already past midnight when I saw the article. Nancy was already asleep, but I still “tried” to tell her that we should probably book this mistake fare. I’m sure she heard me….but she also ignored me, that’s for sure. So I let it go. I figured, we’re on our Day One of our trip to NYC with the kids, I didn’t want to push it. Mistake fare? What exactly is a mistake fare? It’s exactly as it states, it’s an airfare from any airline company, and there happened to be a pricing mistake. Of the three years I’ve been doing this miles and points hobby, I’ve tried to buy two different mistake fares. One was with United, but that was not honored. And then last year, I also bought a mistake fare from Los Angeles to Sydney (roundtrip via Virgin Australia) for $400. That was honored, and we went to Australia in November 2016. You just never know if a fare that you will book will be honored. The good thing is if the fare is NOT honored, you can get your money back. While I have lots of miles and points earned with our credit card bonuses, flying on a mistake fare is a far better way of traveling than using my miles and points. Plus, I have other big trips planned ahead, and those will come in handy very soon. Back to my story. Before I went to bed, I decided that we missed the opportunity because mistake fares aren’t actually published or promoted by the airlines. I had a hunch that that fare would be gone by the time I get up the next morning. Oh well. I went to bed. I got up at 7am the next day. Bam!!!! The mistake fare was still available. That was my sign. I woke up Nancy and told her that I’d be booking this fare. I got online, checked Expedia, and found the dates that might work for us, and 10 minutes later….all done…booked! Japan Airlines for two passengers at $327 each roundtrip…Singapore!!! Really? Yes, really!!! My Chase Sapphire Reserve – this one could get 3 points per dollar, could you get 50,000 bonus points that could also get you two roundtrip tickets to Hawaii or anywhere in the US (some restrictions apply). On top of that you get a yearly $300 Travel Credit, and Global Entry credit of $100. It comes with an annual fee of $450 – but when used properly, you could come out ahead. So how great of a deal was $327? If this was not a mistake fare, we would’ve paid $2,757. Shown below is a similar flight with Japan Airlines from LA to Singapore (roundtrip). For us, we did not pay anything close to that. Instead of paying $2,757, we only paid $655. That was back in April of 2017. We were on the verge of starting our New York City Spring Breakcation, a vacation for the books – we watched 11 Broadway shows in six days. Then we headed off to Niagara Falls and Toronto. It seemed like a lifetime ago, but it was just six months ago. THINK FAST – as I mentioned, I would’ve booked this right when I learned about this deal. But I didn’t. But rule #1 is to jump on it quickly. I got lucky. The airfare was still available when I woke up the next morning. Some mistake fares last an hour or less and they get corrected. DON’T CALL THE AIRLINE – don’t call and ask to inquire about the MISTAKE FARE. That’s almost flagging it for them. So don’t call….and I didn’t. WAIT, WAIT, WAIT – directly after I purchased my tickets online, I waited for a week, and then finally, I called. So I called Japan Airlines and I inquired about wanting to select seats. I wanted to see what they would tell me. Sure enough, they assured me that I was ticketed and there were no questions asked. Yassssssss!!!! So there…..that’s how we scored a $300 ticket from LA to Singapore. Thanks for following along. Any questions, please let me know. I just chanced upon your blog post on your short break in NYC. Cool on scoring great priced tickets to Singapore. Do you have a post on how to actually keep track of or get these great deals and keep track of them?? 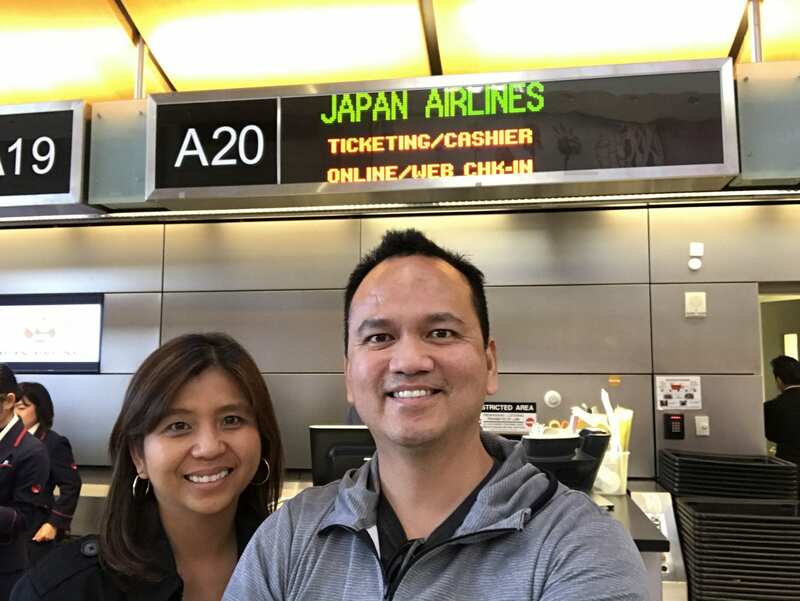 Hi Tara….for the Singapore deal, and with the other deals I’ve come across with, I usually get them from The Points Guy, Million Mile Secrets, Points with A Crew…..between those 3, they tend to update their Facebook posts when a deal pops up. Thanks for writing back Jason. Just checked out Points Guy. Oh gosh! Soooooo cool! I just found tickets to Paris, from JFK for like 300 dollars. You’re welcome….and should you want to begin traveling for nearly free by using miles and points, just ask, and I can point you to the right place where to start. Thanks much daddy travels. I always just redeem credit card points or hotel night stays to get my ‘free’ nights or air travel. Would love to read more ways to make better use of my points. Didn’t realize there were so many blogs on the subject.